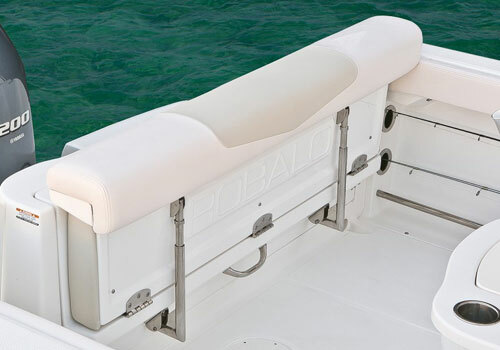 Up front the casting platform features recessed stereo speakers and a top mounted wraparound stainless steel grab rail. 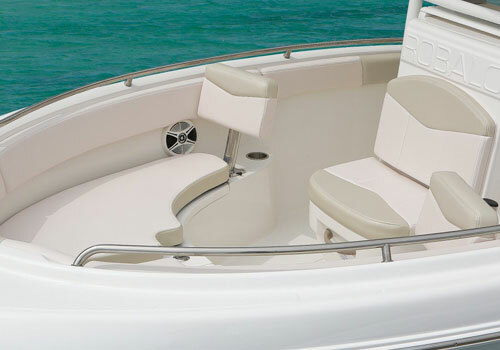 Add removable forward bow cushions for extra seating or a forward sun lounge. 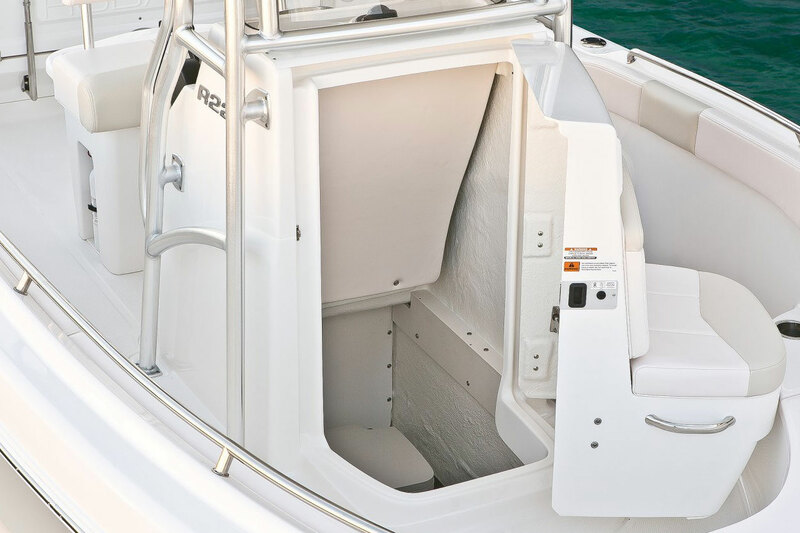 Huge 30-gallon storage compartments are insulated and include overboard drains for fish storage or onboard cargo. 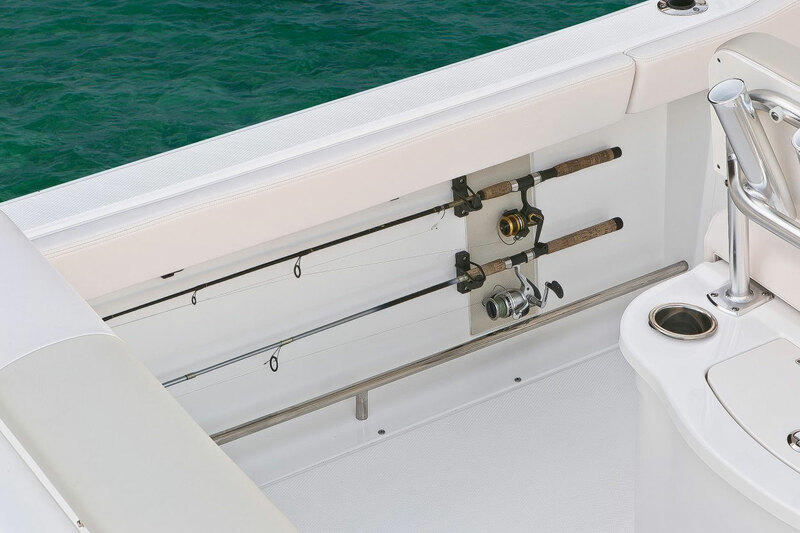 A special floor compartment is perfect for a 5-gallon bucket and a casting net. 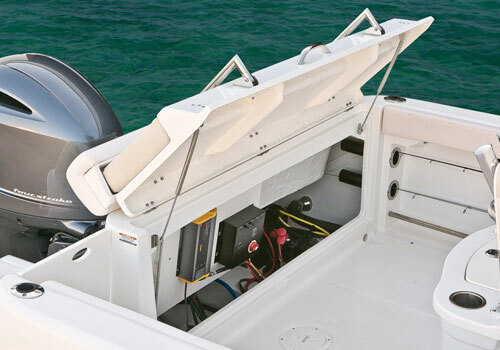 The wide non-skid bow entryway includes an enclosed anchor locker with rattle free stays and plenty of space for line and chain. 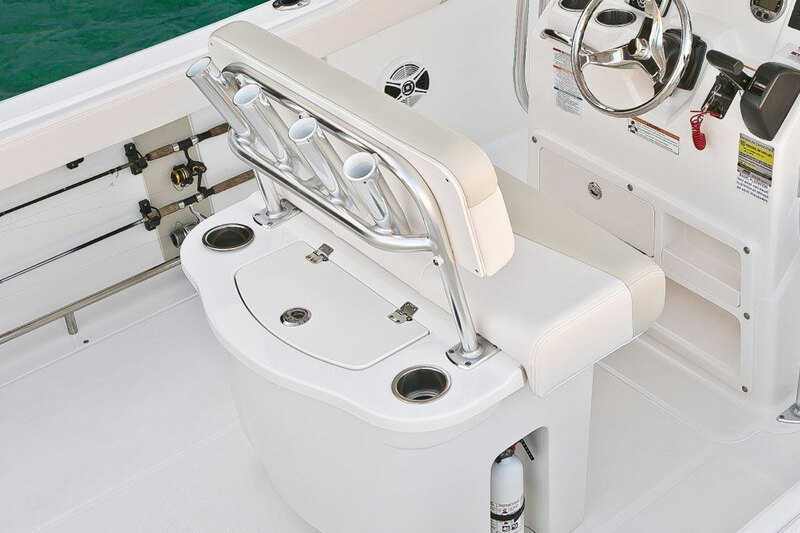 Horizonal gunwale rod storage and vertical storage on the console ensures your gear is always at the ready. 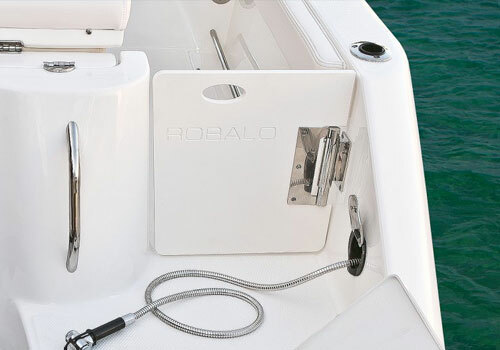 The fiberglass console door hinges for access to a step down privacy compartment that includes a standard porta-pottie and a hanging closet. 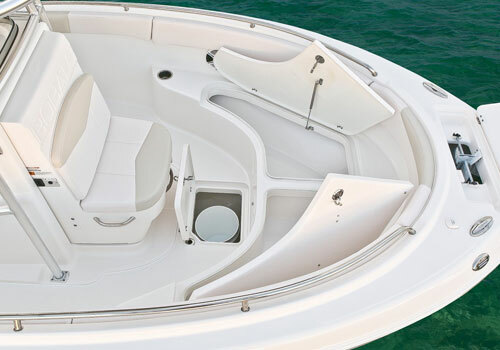 VacuFlush systems are optional. 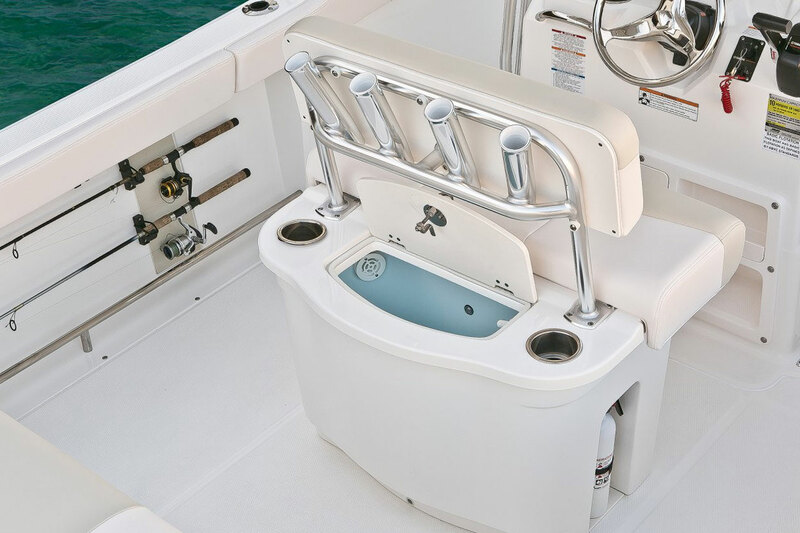 A 15-gallon insulated livewell is conveniently located under the leaning post and features LED lighting, a blue gel coat finish for bait preservation and a directional aerator head unit with a flow valve. 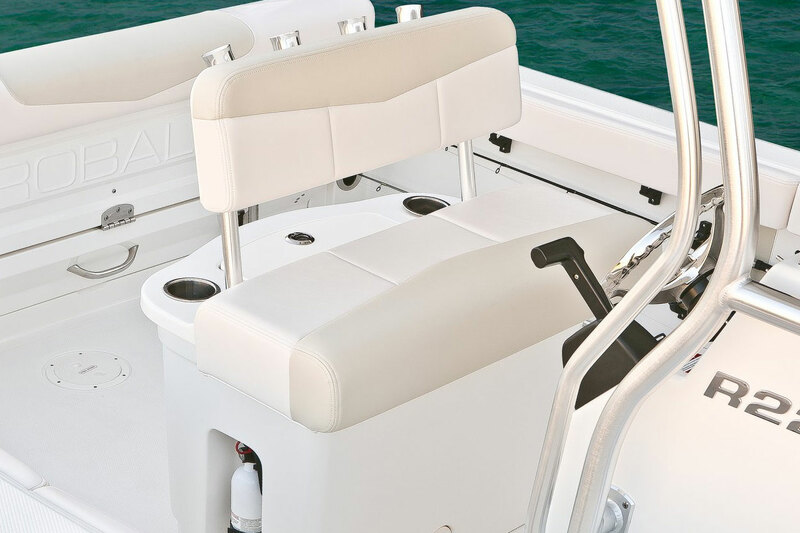 The aft bench provides extra seating and folds away for wide open transom access while fighting fish. 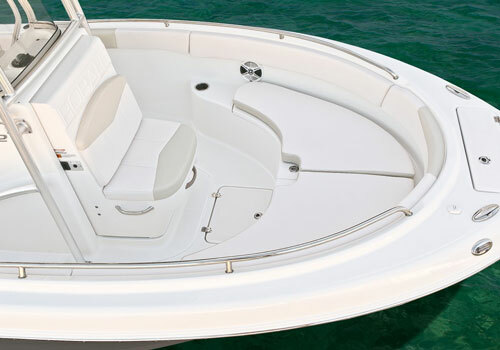 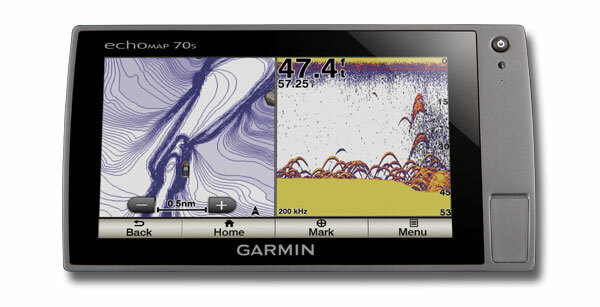 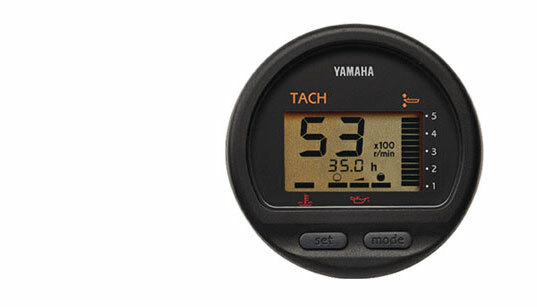 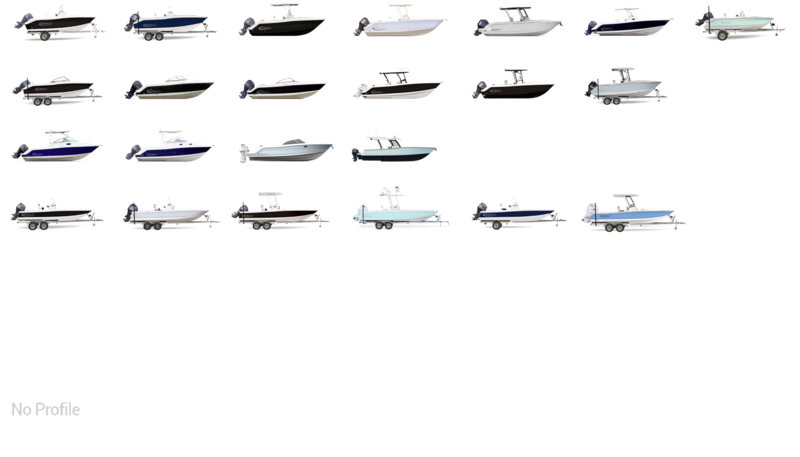 Enjoy easy access to the batteries and all onboard electrical systems. 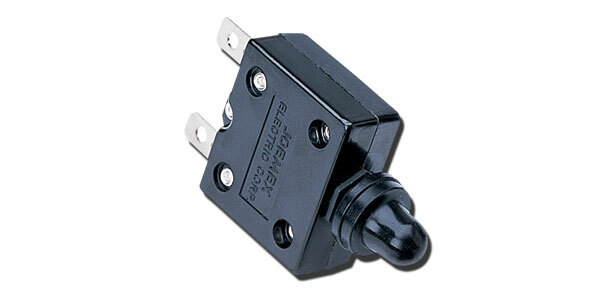 A 110 volt battery charger/maintainer is standard. 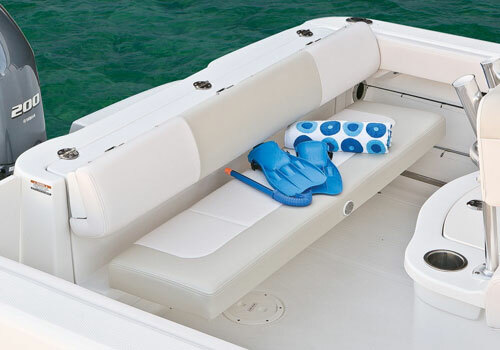 The starboard swim platform features a telescopic ladder with a top-rung grab handle that stows out of the way in its own compartment. 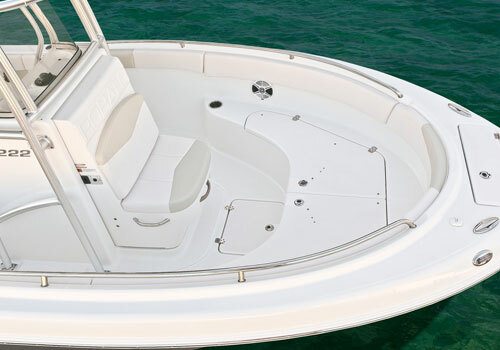 Non-skid surfaces and a stainless steel grab handle are safety extras you'll appreciate. 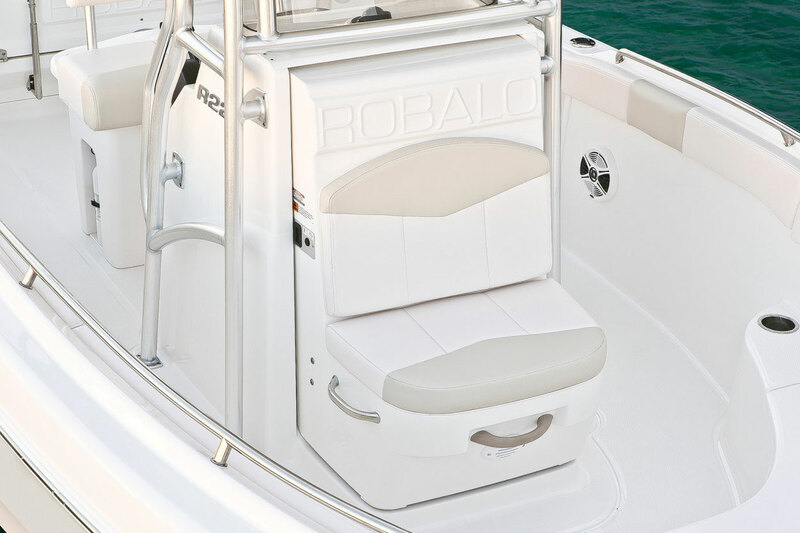 A hinged gate allows access to the main cockpit.